While we believe every SDT sister is notable in her own right, we are honored to have some very distinguished alumnae whom we call sister. 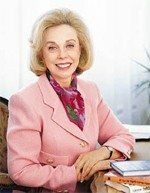 Named the founding mother of media psychology, Dr. Brothers worked in radio and television and wrote a syndicated newspaper column which was printed in over 300 newspapers; she published several best selling books. Gloria traveled the world to discuss Jewish women’s issues with the heads of state in Morocco, Jordan, Romania, Bulgaria,Uzbekistan and Kazakhstan. She also held the position of Vice President of MERCAZ, the political arm of the United Synagogue of Conservative Judaism. 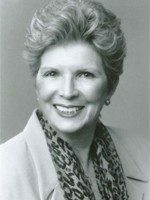 SuEllen was instrumental in coordinating the philanthropic partnership between SDT and Prevent Child Abuse America. Her involvement with PCAA, serving as President and creating several programs, earned her a lifetime member appointment to the Board of Directors. Early in her career, her passion for dance led her work as a dance therapist at a psychiatric hospital, then she went on to become the president of the Kansas Mental Health Association. While there, she was involved in reviewing programs at the state’s prisons. SuEllen went on to found Reaching Out From Within, a rehabilitation program for prisoners. In 2015, she received the L’Oreal Paris Women of Worth Award for this program. She was also listed on George H.W. Bush’s Thousand Points of Light Foundation list. Previous CEO of Paramount Pictures: First female to head a Hollywood studio. Named one of the most powerful women in America. 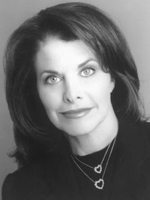 Current head of the Sherry Lansing Foundation, committed to making the world a better place by funding and raising awareness for cancer research, and by supporting education, art and culture. 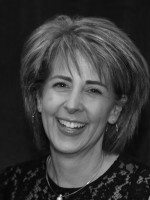 Lynn is a Thinking and Accountability Partner, guiding groups and individuals as a personal coach and inspirational speaker. 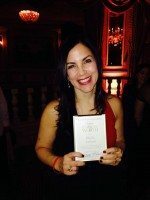 She is the founder of Camp To Belong, a summer camp to reunite siblings placed in separate foster homes and an award winning author. 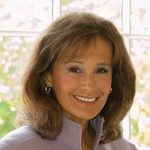 Marilyn is founder and President of Strategic Communications Services. 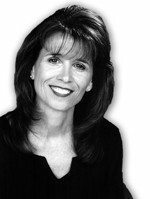 She was the first woman to solo anchor a newscast and later created the first all women’s television news program in the United States. 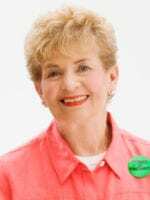 Phyllis has been honored for her work in launching and maintaining Simon’s Fund, an organization which raises awareness about sudden cardiac arrest death in children. She was awarded the 2014 Alumna of the Year award in July 2014. In December, Phyllis received the L’Oreal Paris National Woman of Worth award at a star-studded event in New York City. Terry is co-host of a daily morning television show in Chicago, featuring talk about money, the markets, business and sports. She is a best selling author and a frequent guest on radio and television shows. 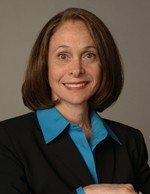 Since launching the Washington D.C.-based Schrayer & Associates in 1994, she has developed numerous political advocacy campaigns and strategic plans to affect public policy for a wide range of clients including the Children’s Hospital Association, CARE, and Waiting for “Superman,” a documentary film about America’s failing public school system. She’s also the founder and president/CEO of the U.S. Global Leadership Coalition, which partners with the Gates Foundation to fight global poverty and promote engagement in the world through diplomacy and international development. Today, the 19-year-old coalition consists of over 400 top businesses, non-profits and leaders from across the political spectrum. Phyllis served as leader of the NCJW, a volunteer organization of 90,000 members nationwide. 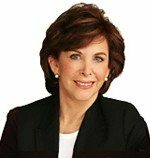 Phyllis has been named to the Forward Fifty, a list of the most influential members of America’s Jewish community, for her work spearheading National public policy initiatives.